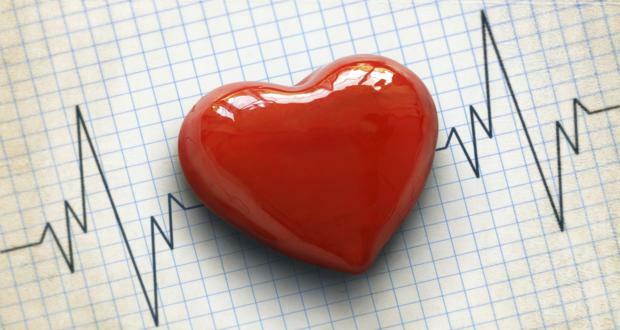 Are you at risk of heart disease? Our theme for the next few weeks is going to focus on the risk factors and what you can do to lower your risk. Coronary heart disease (CHD) is any disease involving the network of blood vessels that surround or serve the heart. If left untreated, myocardial infarction (heart attack) or sudden death can result. There are well known risk factors for coronary heart disease that can be screened for and managed, even in people that are not yet showing any symptoms. One of these is cholesterol, which has consistently been shown to be linked to death. The great news is that it is easily tested. Total cholesterol levels are made up of different types and amounts of blood lipids (cholesterol, triglycerides and phospholipids) and lipoproteins. The very low density (VLDL) and low density lipoproteins (LDL) are considered as risk factors and thus low levels of these lipoproteins are recommended. The high density lipoproteins (HDL) have a more beneficial role and higher serum levels are recommended. Thus it is important to have a complete cholesterol profile tested as the ratio of the LDL and the HDL is also important not just the total cholesterol. High triglyceride levels are known to be atherogenic (promotes formation of fatty acids in the arteries) and may also be a risk factor for metabolic syndrome. Total serum cholesterol has a direct relationship with CHD. A 10% reduction in total cholesterol can result in a 30% decrease in risk of CHD. There are many factors that can affect serum cholesterol such as: Age, a diet high in fat, saturated fat, genetics, hormones, exogenous steroids, medication (β-blockers and thiazide diuretics) body weight, glucose tolerance and physical activity level. One in five preventable CHD deaths is attributed to smoking. Smoking exacerbates multiple risk factors for CHD including: Blood pressure, lowered HDL, increased VLDL, thrombus formation, plaque instability and carotid stenosis. LDL is the primary target for intervention efforts as it has been conclusively linked to CHD and acute events. Diet and weight management are the most manageable risk factors for high LDL. High blood pressure is not only a risk factor for CHD but also stroke and congestive heart failure. It causes vascular injury and stress to the heart tissue. Treatment of hypertension reduces the incidence of CHD, stroke and congestive heart failure. The left ventricle of the heart increases in size due to high blood pressure and obesity. This is a strong risk factor for CVD, coronary heart failure and sudden death. Most heart attacks are a result of a thrombus in the heart. Factors that increase the risk are: Smoking, sedentary lifestyle, elevated triglycerides and genetic factors. Is both a disease and a risk factor. Primary focus of prevention of CVD in diabetic patients is controlled LDL and blood glucose levels. Is an independent risk factor for CHD. It is the most prevalent and modifiable risk factor. By being physically active can help by increasing HDL, improving glucose tolerance and insulin sensitivity. Serum HDL levels are a strong negative independent predictor of CHD. Factors that increase HDL are: Oestrogen supplementation (the pill etc), exercise, weight loss, loss of excess body fat and moderate alcohol intake (red wine). BMI and CHD are positively linked. As the BMI increases so does the risk for CHD. Apple shaped people/ those with large amounts of fat around their waists increase risk of CHD. Waist circumference should be less than: 88cm for women and 102cm for men. Type A personality, stress and depression are all associated with increased CVD level. Is an independent risk factor for CHD. High triglyceride levels are usually coupled with low HDL levels. Factors that affect triglyceride levels are: Diet, oestrogens, alcohol, obesity, untreated diabetes, untreated hyperthyroidism, chronic renal disease and liver disease. Oxidative stress caused by LDL in the vessel walls hastens the atherogenic process and increases the LDL uptake. Moderate alcohol consumption (1 to 2 drinks per day) has been associated with a reduction in CHD. Older individuals are at a higher risk. First degree relatives are at highest risk. This list of risk factors clearly indicates that diet has a proactive role in modifying the risk factors for CHD. Some of the dietary modifications have a great impact on the development of CHD than others but they can be used in conjunction with each other for the best results. Stay tuned to our blog posts to see how you should modify your diet to decrease your risk!